The thing is, we use these bags for life for a whole host of things – gym kit, shoes, garden rubbish – and of course food – but even within the food category there are what I call “dirty” foods which are those which need to be cleaned or washed to make them safe, and “clean” foods – those which are ready-to-eat such as cooked meats, washed salads, quiches, pork pies and sausage rolls. Whilst meat and poultry packaging may be robust and not leak, the trouble is that the packaging can sometimes be contaminated with dangerous bacteria such as Campylobacter on the outside and this contamination could transfer to other food packs, hands and of course the bag itself. Read more about this here. So now you know this what can you do? The first thing is to think about packing your food shopping separately into “clean” and “dirty” bags, but then you need to mark the bags if you keep re-using them so the “dirty” bag is always used for the “dirty” food. Alternatively you could use a small vegetable bag to put your meats and poultry in, thus protecting the bag. However, there have been a number of squabbles with supermarkets recently about whether people can be offered a free bag for those foods that may have contamination on the outside package, such as chicken and meat, and also foods such as loose root vegetables (which have been implicated in E. coli outbreaks in the past). 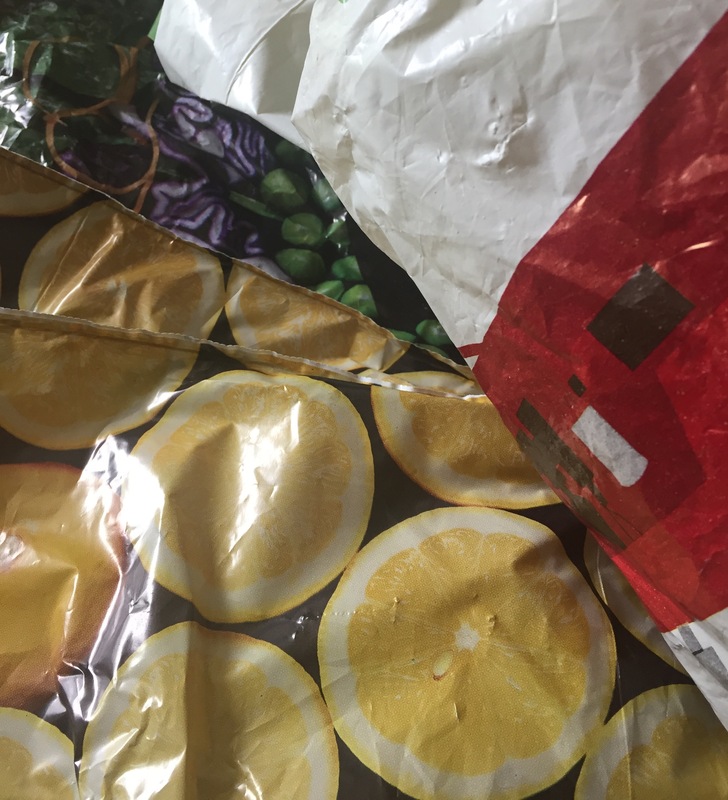 Some will allow you to use a vegetable bag to put chicken and meat in, and others will not – though strangely they allow lemons to be in these bags! I am also bemused by the offer of a flower bag, which seems to escape from the 5p charge, and is offered willingly. For my on-line shop I put on my delivery note that I will not accept my shopping unless the raw meat and chicken is packed separately. It worked! Mark your bags with “clean” or “dirty” of have a distinctive one for raw foods. Use an anti-bacterial bag for life which will kill off the bacteria so the next time your bag will be safe to use. Some supermarkets now sell them, or you can buy one from my shop. We now have some new pouch bags that fit conveniently into a pocket or handbag so you can carry one all the time, just in case you end up doing a spot of unexpected shopping. Don’t forget – however clean your bag is, you may need to wash your hands after shopping – and definitely before eating!